it's time to think about how to express that to your target groups. 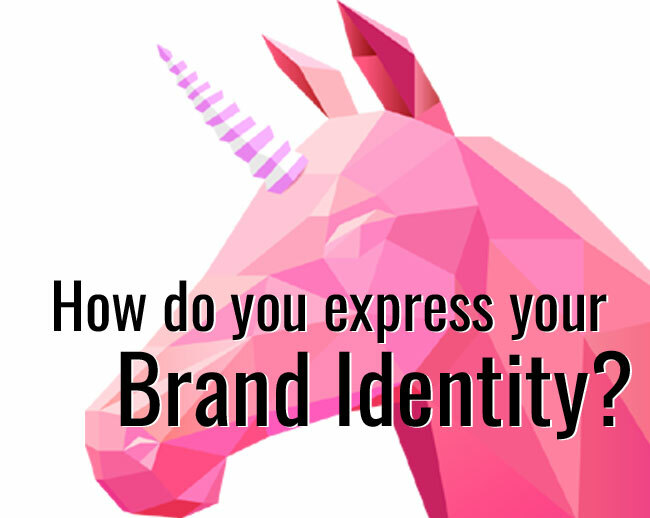 Brand expression includes everything consumers can perceive, from your brand name and logo to the way your staff dresses, the look of your stores, your marketing materials, and the experience you provide. 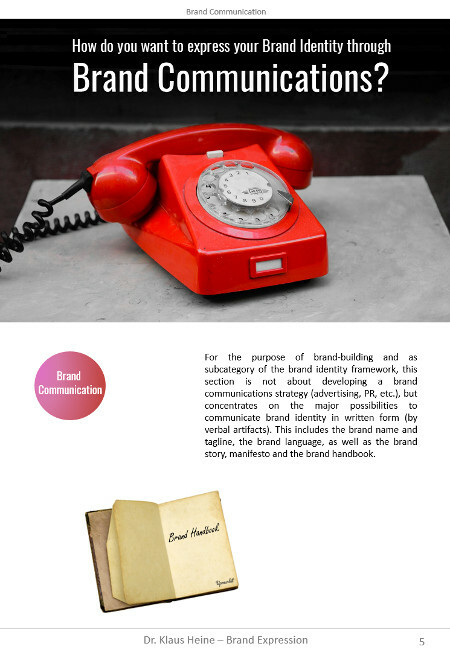 Brand expression is the tangible manifestation of your brand's identity. 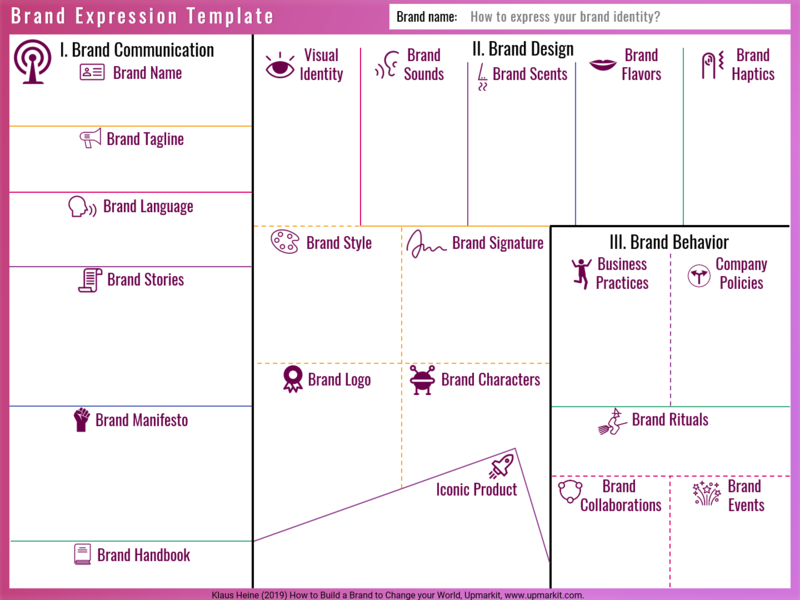 The Brand Expression Template provides a structured overview about the most important branding elements that help to symbolize what a brand aims to stand for. 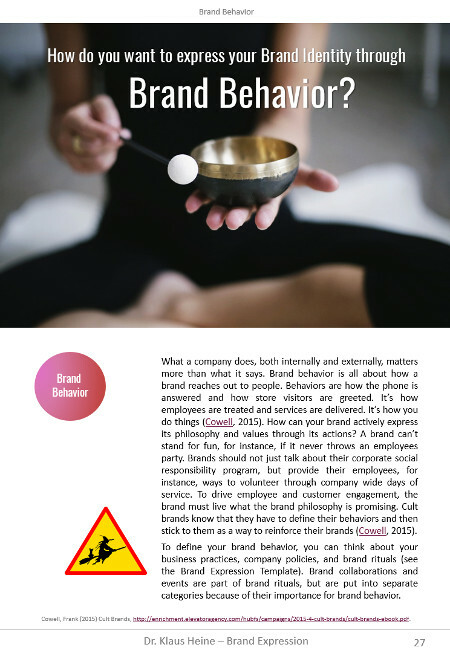 Based on the long-established marketing concept of ‘corporate identity,’ brand expression can be split into brand design, communication, and behavior. Each of these major components and their subcategories are explained in this booklet (35 pages). This includes brand tagline, brand language, brand manifesto, brand style, brand signature, brand characters, brand rituals, brand collaborations - and so on. 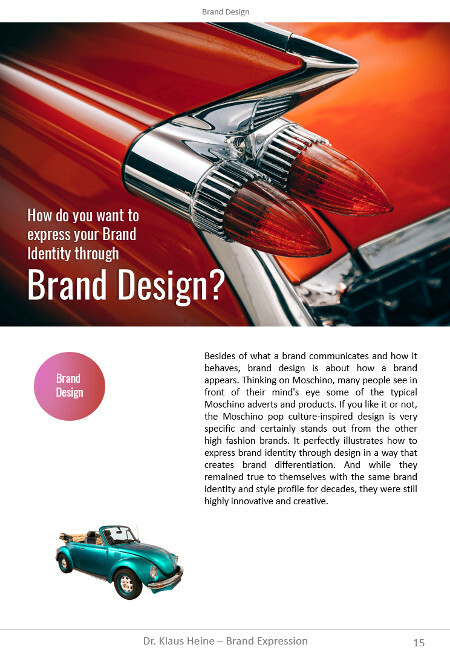 The aim of this booklet is to give you an overview about the main branding elements to express brand meaning, how they are related, to explain what is what, and how high-end brands make use of them - to help you building your own brand.